Trusted advisors to business leaders, Golfdale is an Advisory Partner to Qualtrics™, a world-leading research technology provider. Whether it is a transitional and challenging phase for a company, or times of success that require growth optimization, our clients turn to us for strategic advice and hands-on guidance through solutions. Our two Principals have combined executive experience of 40+ years, both in executive roles themselves as well consulting to top leaders in their industries. Our advisory is supported by our world-class technology partner Qualtrics, whom 9000+ companies rely on to close experience gaps and gain insights. 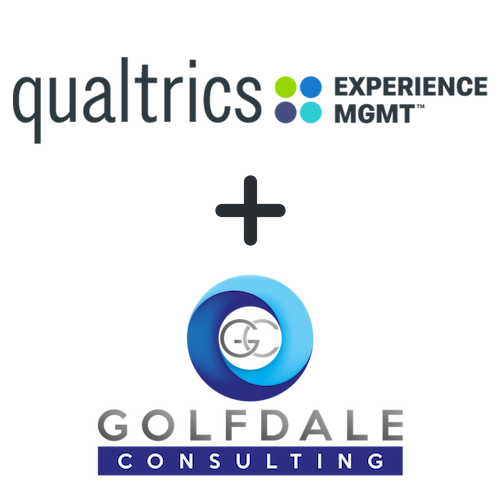 The Qualtrics-Golfdale partnership marries the world’s leading experience management and research technology with best-in-class insights and strategic counsel. Today decision sciences are complex, drawing from a wide span of disciplines from behavioral economics to machine learning. Talk to us to find out how you can leverage our joint experience to get ahead of the curve. Global reach. Headquartered in Toronto, Canada. "Golfdale has been a valuable strategic advisor to our business. They leveraged their deep customer experience knowledge and decision sciences capabilities to support our Thought Leadership positioning in the airline service industry. Behind the scenes or on the stage, they are excellent partners to help your brand." "Golfdale has been integral in the design and execution of research on our behalf, delivering valuable insights that contribute to Mercatus' position as a thought authority in digital commerce." I had the pleasure of working with Golfdale on strategic solutions to issues impacting my business in financial education. Hande has been able to implement clear action plans and achievable solutions to these challenges. Hande takes the lead and is very professional to work with. I would not hesitate to recommend their consulting services to other companies looking to stay a step ahead of issues affecting their industry. Robert Gardias, President and CEO, Oliver Publishing Inc.